There is a body on your seaweed, with their two wide open eyes. Right on the crest of wave and tide, that’s just a simple bend in time. 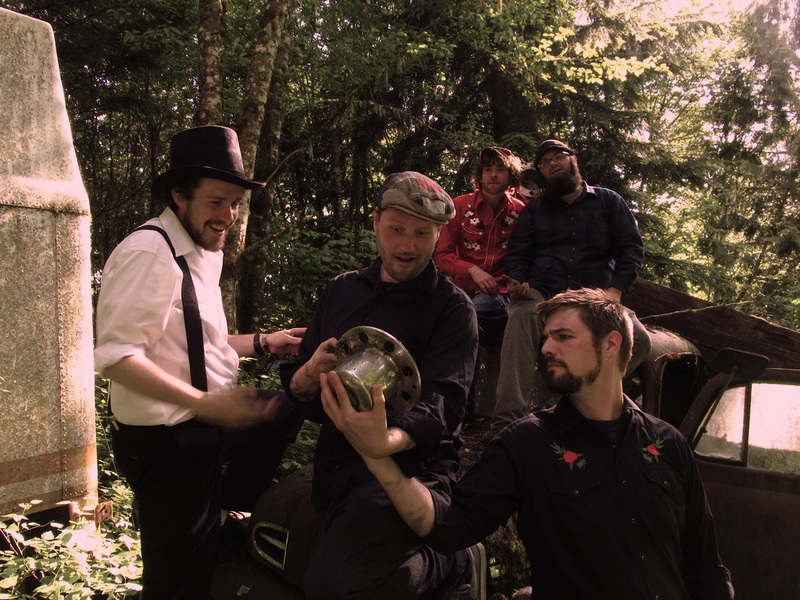 Cedar Teeth is a five-piece band hailing from the Cascade foothills of Colton, Oregon. For many years, the fellas have been working together in a shed at the edge of an ancient forest. And if the band is a reflection of that forest, the musicians are the trees. Rayson Gordon’s driving and melodic bass lines are the steady pulse at the heart of Cedar Teeth. Founder and creative contrarian, Gordon is also the artistic voice of the band and its illustrator. Self-taught guitarist Luke Precourt channels an idiosyncratic, genre defying sound; whether arcane or archaic, his distinct leads remain tethered to the ether. A life-long searcher, dreamer and pioneer, Precourt’s musical meditations weave through Cedar Teeth’s roots and boughs. Primary vocalist and acoustic guitarist, Dylan Martell, is the visceral yet vulnerable voice of Cedar Teeth. Martell’s lyrics, composed of stark and paradoxical imagery, are the lens through which the music is focused. Incendiary behind the drums, but uniquely serene with banjo in hand, Aaron Troxel also supplies haunting gospel-tinged harmonies and lead vocals. An astute critic and interpreter, Troxel focuses each member’s eclectic palette into a single sonic vision. Adam Murray, whether on guitar, keyboard, vocals or drums, is the rug that ties the room together. Murray is the spirited guide and irreverent translator, endearing the audience to the band. A band in the truest sense, the songs of Cedar Teeth come together organically: like a jigsaw puzzle without the box, assembled by many hands. Crafting a sound that blends rough and rustic folk rock with lyrical American roots, the music of Cedar Teeth is drawn from their experiences and sentiments of living on the frontier dividing the wilderness and the city. Their debut album Hoot explores the tensions of a generation: love, materialism and destruction in a morally ambivalent landscape.